Not much of a green thumb but I'd like to know if this some variety of Jade Tree plant and whether it is sprouting a new set of roots. Got it at Walmart or KMart and it's thriving- at least twice the size as a it was nine months ago. Time to replant or remove sprout? 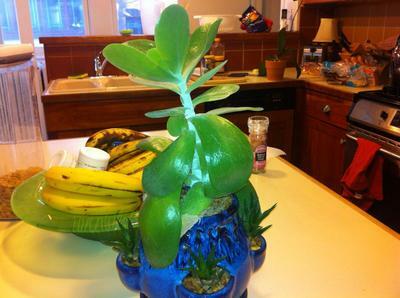 Hi James, first of all this is not a Jade plant, which is Crassula ovata. You can see more about Crassula here. It's Kalanchoe thyrsiflora, otherwise known as Flapjacks, or the Paddle Plant. 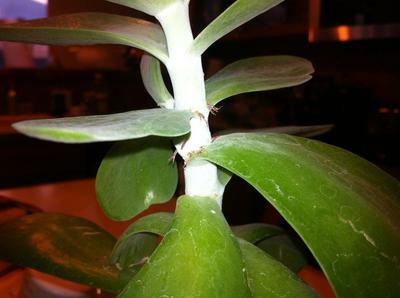 These plants quite often get aerial roots, usually due to running out of room in the pot. You can easily root new plants, by cutting them off below where those roots are showing, taking the leaves off the lower part, and allowing it to dry out. Then you can plant it in some well drained soil - resist the urge to water for at least a week, to let the roots seek out the moisture. The lower part will grow new branches, making a more compact plant. This is probably not the right pot for it, because these plants actually get really big - like over 4' tall, and top heavy. 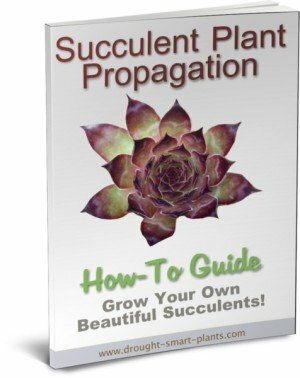 Hope that helps with your plant!